DENVER  The most powerful person in Colorado is not Gov. John Hickenlooper, CEO of the state. Its not Interior Secretary Ken Salazar, who controls millions of acres of public lands. For the next five weeks, anyway, the honor goes to Denver District Judge Sheila Rappaport. Starting Monday, she will oversee a five-week trial in a case called Lobato v. Colorado. The outcome will affect every student, teacher, homeowner and taxpayer in Colorado. Rappaports power comes from the importance of the question she will have to decide: Does Colorados school finance system break the states own constitution? If she rules that it does, she will tell the Legislature to craft a system that better fits Colorados needs. What happens then is anyones guess, but state leaders are worried that they could have to devote another $2 billion  nearly the entire state budget  to schools. No money for prisons. No money for federal matches for health care. No money for higher education, and you go down the list. The ramifications of that, I cant even comprehend, Hickenlooper said. So-called education adequacy lawsuits have been filed in 45 states, and the plaintiffs have succeeded more than half the time, according to the National Access Network, which supports the lawsuits. Two Cortez teachers will testify for the plaintiffs. 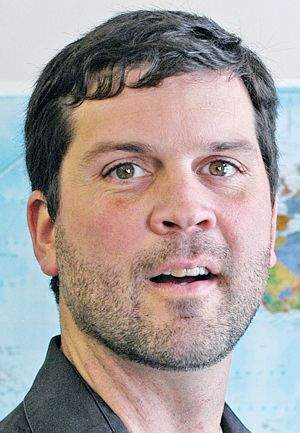 Matt Keefauver, a fourth-grade teacher at Kemper Elementary School, has seen resources dwindle in his 15 years in the district. It seemed like we were always able to get things like basic supplies. Thats really changed in the last three to five years, Keefauver said. The district now asks parents to supply a ream of copy paper, he said. The dearth of paper also strikes Justine Bayles, an eighth-grade science teacher and high school basketball coach. School administration is very frugal, she said. Bayles said she is buying more supplies with her own money, and she is worried that athletic programs and other extracurricular activities that give students adult mentors will be cut. Montezuma-Cortez is the only Four Corners school district to join the lawsuit, but if the plaintiffs succeed, every district in the state will share in the judgment. For school advocates, the trial will release two decades of building frustration about shrinking budgets and increasing mandates from the Legislature. The lawsuit began six years ago in the San Luis Valley when a group of school districts and parents, led by Center Public Schools parent Anthony Lobato, had had enough of budget cuts in their low-income part of the state. The Legislature has imposed higher academic standards, statewide tests and graduation requirements on school districts, but it hasnt funded those mandates, plaintiffs say. School districts are left to meet 21st century educational standards with 1980s funding, and it cannot be done, plaintiffs lawyer Alexander Halpern wrote in his trial brief. Their case hinges on the state constitutions education clause, which requires a thorough and uniform education for every Colorado child. The lawsuit targets two constitutional amendments as culprits: the Taxpayers Bill of Rights, which requires voter approval for tax increases, and the Gallagher Amendment, which keeps residential property taxes low. If the courts agree, they could either order an override of TABOR or cripple the state budget to force a popular vote on it, said Attorney General John Suthers. The plaintiffs have won a string of legal victories already. Most importantly, in 2009, the state Supreme Court decided in a 4-3 ruling that the courts can get involved in school funding. Three justices dissented, saying its a political question best left to the governor and Legislature. This month, Rappaport issued several orders that narrowed the case in the plaintiffs favor, blocking the attorney generals wishes that the court give deference to the Legislature and consider the role of TABOR in limiting budgets. The rulings leave state lawyers to argue that money does not guarantee a quality education. However Rappaport rules, lawyers expect appeals to go all the way to the state Supreme Court.